The power consumption of a laundry in an average Australian home is always likely to be high as the usual suspects - like hot water and appliances - are in constant use. When combined, water heating and appliance use make up for over half of an average power bill, according to the Department of Industry and Science (DIS). With the high energy prices in mind, it might be a good time to compare electricity suppliers and take a look at your power usage. Because as they say, where there's costs there are savings to be made. Here are just a few ways to shrink the energy usage in your laundry. Simple measures make for big savings. The bulk of appliances sold in Australia have an energy rating label prominently displayed on the front. The more stars, the more efficient. 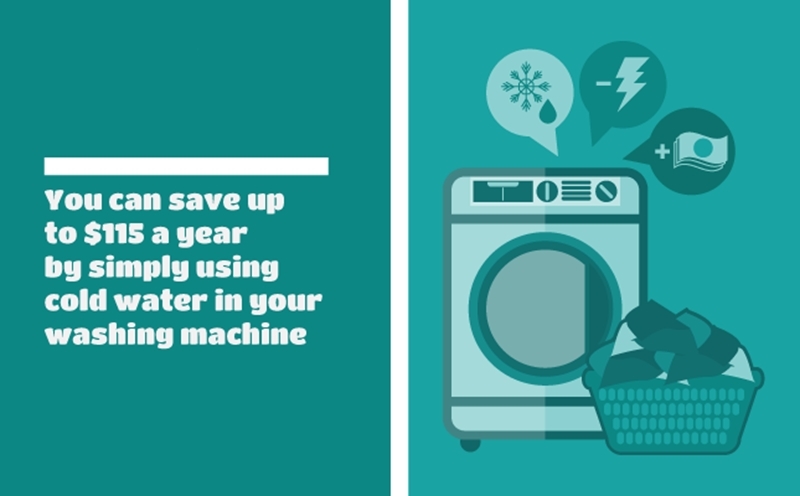 While buying a clothes dryer or washing machine with a high efficiency rating may cost you in the short-term, you will benefit from the reduced power-usage in the long-term. The DIS suggests looking at the energy rating label like a "second price tag". According to the Energy Supply Association of Australia, you can save up to $115 a year by simply using cold water in your washing machine. Furthermore, you should reduce your usage of the washing machine by only turning it on when it is actually full. According to the state government, around 54 per cent of Victorians own a clothes dryer. If you also have one, try to limit your use as much as possible. Sustainability Victoria found that the annual running costs for a classic dryer that is used three times a week was $164. Australia is for the most part blessed with a sunny climate, so take advantage of that and hang your clothes out to dry. Think of every naturally dried garment as money saved. When you think your washing machine or clothes dryer are inactive, they are actually still sneakily contributing to your power bill - up to 10 per cent, according to the DIS. To avoid this, simply unplug them from the wall when not in use. You should talk to the experts at Make It Cheaper if you're really serious about reducing your power costs. They will compare electricity prices across Australia's leading energy suppliers to ensure you get the best deal, enabling you to live more comfortably with your power bills.